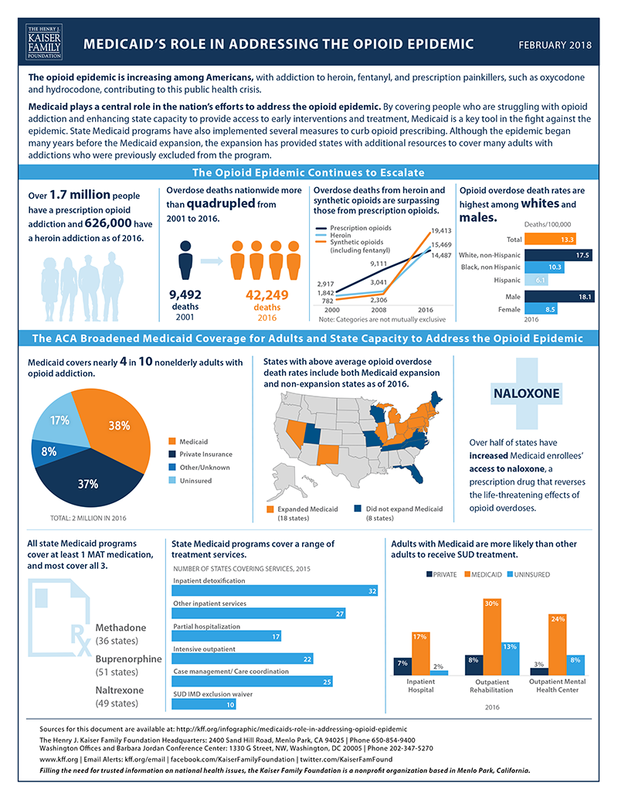 NOTES: The three prescriptions for opioid use disorder are methadone, buprenorphine, and naltrexone. Data on coverage of methadone and naltrexone were unavailable for Arkansas and Illinois. Indiana did not cover all three prescriptions in 2017, but reported plans to do so in 2018. Synthetic opioid deaths do not include deaths due to methadone. An IMD (institution for mental disease) is an inpatient facility with over 16 beds.